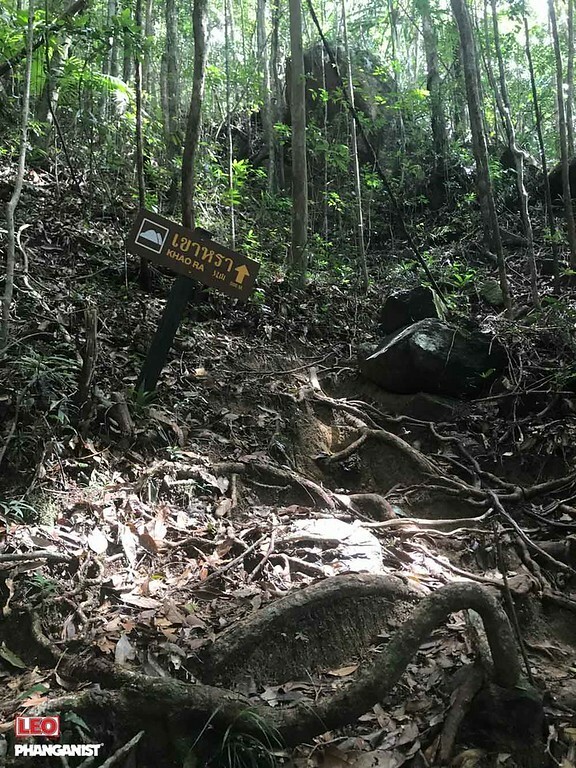 Here are several hike trails on Koh Phangan. Through the jungles to the Bottle beach, to the viewpoints and waterfalls. 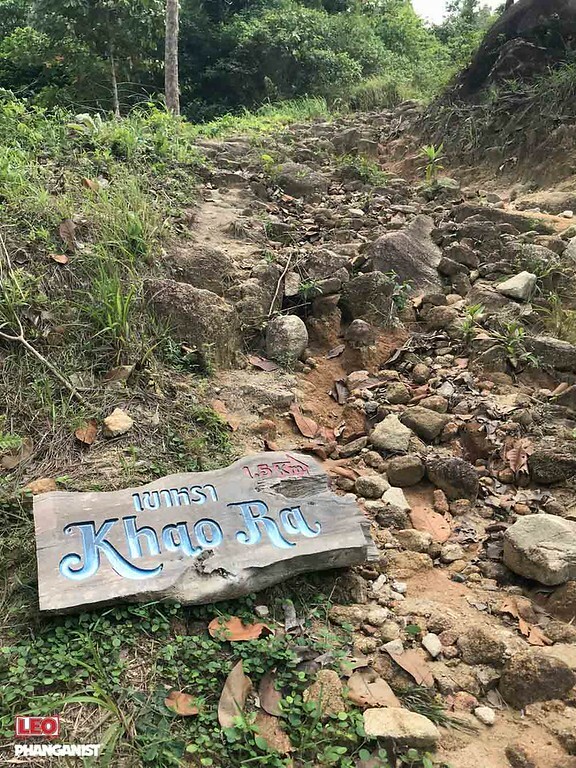 But the longest and toughest one – is to the peak of the island’s highest mountain Khao Ra. Before the hike I’ve heard and read a lot of reviews on this trail. And most of them were full of disappointment. Because not many people were that impressed by the view from the top. And now after climbing it myself, I can say: if you want to hike it to just to see the view, you totally shouldn’t do it. The trail starts in the middle of the forest. 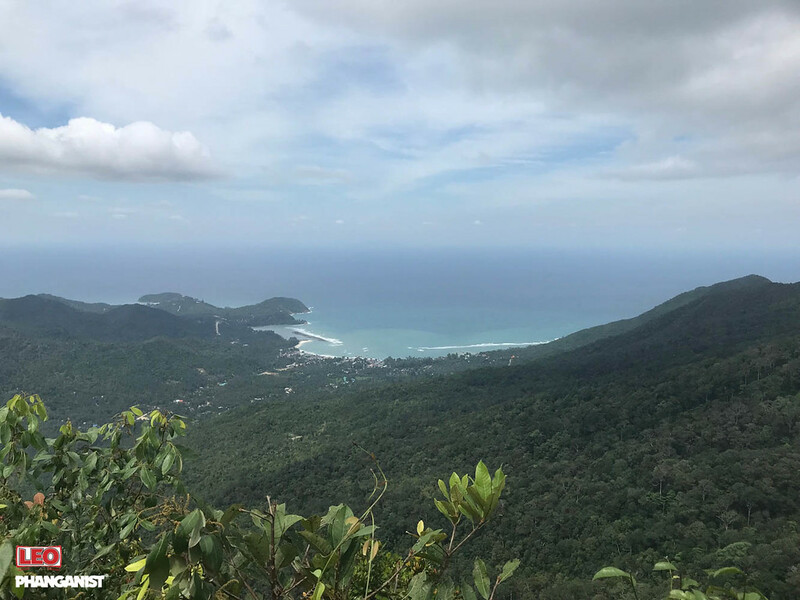 You need to pay entrance fee – 20 THB (but that includes a small bottle of water – something you will really appreciate but we recommend bringing a bigger bottle of your own). Then the road starts up. And it’s not an easy one – deep canyons, holes – you really have to step carefully. Then you cross small bridge over a waterfall and get going. But what at first seems to be the road to the top – isn’t it. It brings you to a sign that trail only starts and its length is 1,5 km. Seems to be not such a long way. 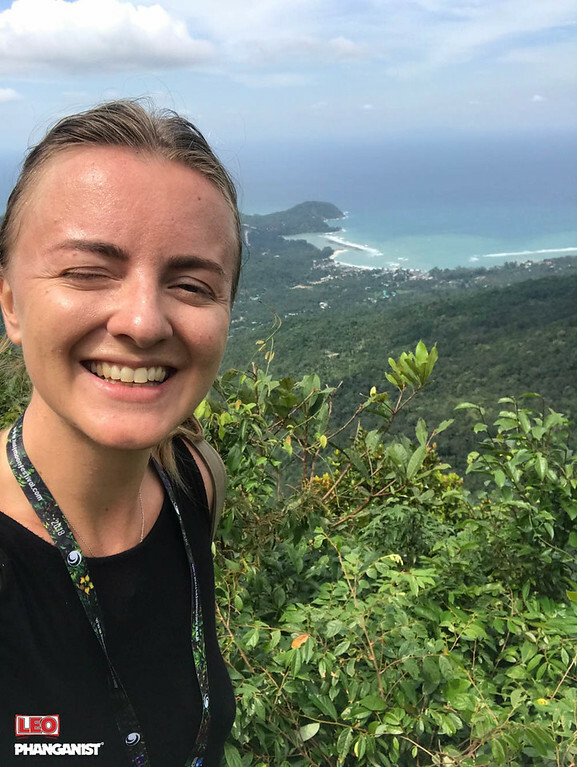 But in the jungles, where the trail goes almost vertically up, where the stairs are the roots of the trees and you have to go under fallen trees or climb the rocks, it’s a really, I mean a really long distance. And it’s not a very touristic route (probably because it’s hard-core), so all the way up I was hiking completely alone. Listening only to crickets and blood pressure in my ears. Somewhere on the half road it hit me – hiking as a weird form of meditation, you think about nothing, concentrate on the breathing. So you hike to hike and not to get a reward in the form of nice view. So when I finally reached the top it was like seeing light in the end of a tunnel. From up there you can see a nice panorama of Chaloklum Bay and lots of green. The viewpoint is wild, the place is just what it is. Only coins left by other hikers remind you that it’s a place of interest. To hike down is always easier. But not here. You can take another trail – and do the loop around the mountain. I was already tired, my legs were shaking. I was trying go faster to get to my bike, but that lead to slipping down. But the scariest moment was when I lost the trail. It suddenly disappeared and all I could see were the untouched jungles. The most pacifying thought was that I couldn’t be eaten by some wild animal, because I myself was the biggest animal here. So I figured out that the best idea was to go down with a stream. And it took me back to the waterfall where I started the hike. But 3 hours and 9 kilometers later. So I enjoyed the track. But probably it would be a better idea to hike with someone – not alone. Because I could vividly imagine myself falling down, breaking the leg and surviving alone in the middle of nowhere.